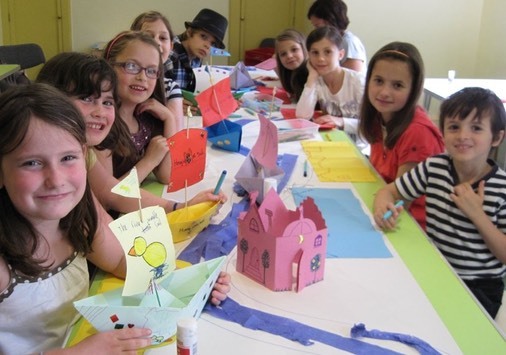 Kids' creativity was flourishing at Honeywood Museum last week for a day of summertime fun. The recently refurbished museum in Carshalton is hosting a series of Family Craft Activities days during the school summer holidays where children can come along and get creative with arts and crafts. And they can also gain a fascinating insight into local geography by learning where the River Wandle starts and then following its journey through Sutton to the Thames. Deputy Leader of the Council Colin Hall said: “Honeywood Museum is one of Sutton’s greatest assets and I am delighted that children have the chance to experience some of its facilities. There are still three Activities Days to come on August 8, 15 and 22 and there are a range of other fabulous events coming up at the Museum including By Land, Sea and Sky on Sunday 19 August. This exciting event offers families the chance to travel around the museum and enjoy crafts, toys, puzzles and stories on the theme of transport. And while you’re at the museum why not take a peek at the superb exhibitions? Picture This! A display of photographs of Edwardian and modern Sutton at leisure is showing until 2 September and Countryside Scenes in Stitches, showing textile works by Diana McKinnon, is on until 19 August.